What rights do women have when mourning a loved one? Should they be allowed to wear clothes that signify the passing of a husband? Should the authorities ban such clothing? 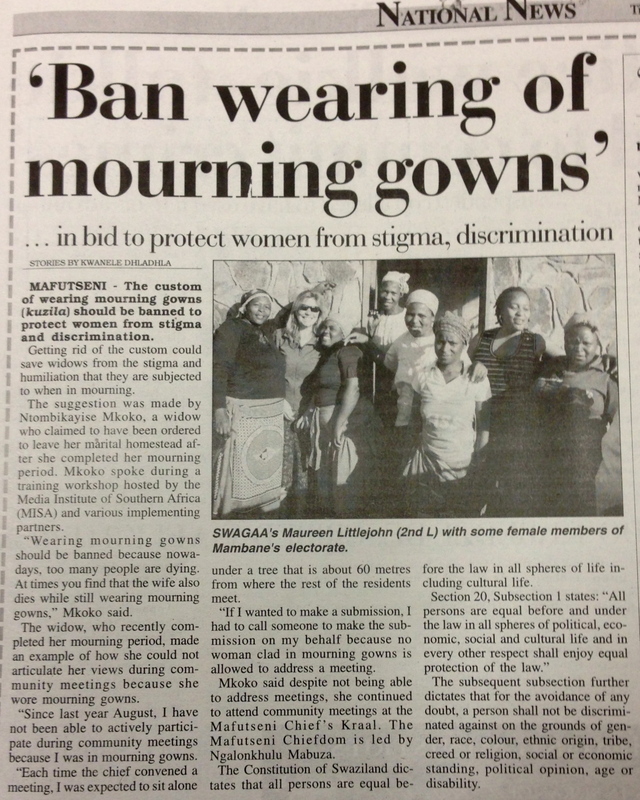 If women do decide to wear mourning gowns, does this mean they forgo certain rights such as being able to address a public crowd? How easy is it for women mourning their husband to register for an upcoming election? How widespread is discrimination against widows? These are some of the questions raised during a recent election coverage training for journalsits, run by the Swazi chapter of the Media Institute of Southern Africa (MISA-Swaziland), a press freedom NGO, and COSPE, a human rights NGO. On Tuesday 21 May, MISA-Swaziland and COSPE staff, aided by Maureen Littlejohn from the Swaziland action group against abuse (Swagaa), welcomed five journalists to the MISA office in Mbabane, the capital, for a morning discussion and training session on how to improve election coverage reporting. This was the second ‘on-the-job workshop’ — a mixture of theoretical training and practical work — in a series of twelve sessions in the lead up to the national elections, scheduled for August 2013. The focus of the training sessions, in addition to improving election coverage, is assisting journalists so they can report on women’s issues in a more ethical manner. Beyond the fact that 80 percent of sources in the Swazi media are male voices, stories about women are often reported in an insensitive way. Click here to see the Swaziland journalists’ code of ethics. Article 5 speaks directly to respecting people’s privacy and dignity. After the morning discussion and training at the MISA office, the journalists split into two groups and went off to find stories, putting into practice the principles (from the SADC election guidelines and Swagga’s suggestions on ethical gender reporting) that had just been discussed. People were interviewed and stories were found. 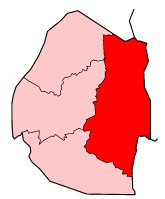 In the town of Mafutseni, in the Manzini region, Times of Swaziland reporter Kwanele Dhladhla and Swazi Observer’s Winile Masgina asked residents a range of questions about women’s rights and the upcoming elections. Dhladhla interviewed a resident who told him about the discrimination she faced when mourning the loss of her husband. 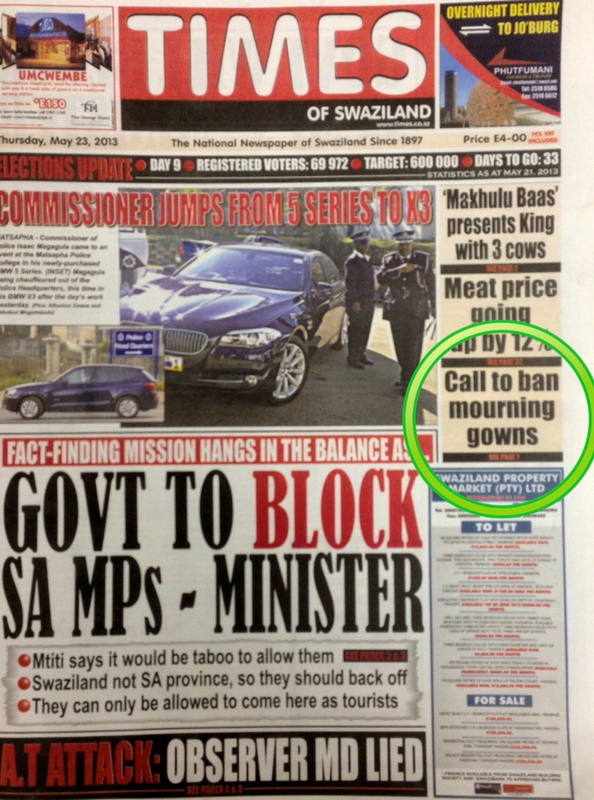 The Mafutseni woman suggested to the Times of Swaziland that perhaps the custom of wearing mourning gowns — kuzila — should be banned to protect women from the accompanying stigma. “Since last year August I have been unable to actively participate during community meetings because I was in mourning gowns. 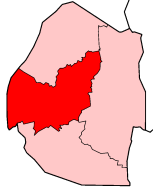 Each time the chief convened a meeting, I was expected to sit alone under a tree about 60 metres from where the rest of the residents meet,” said the Mafutseni resident. This front page news story, discovered during the MISA-COSPE training day, generated a public debate about women’s rights and discrimination. Click here to read the full article online at the Times of Swaziland website. The Times of Swaziland also dedicated prime column space to the issue, writing an editorial examining the story and providing some background and perspective. While one group of reporters were uncovering stories in Mafutseni, the other group were in the town of Mambane — in the eastern Lubombo region — where they spoke with several women about daily life in the area as well as getting their thoughts on the upcoming elections. 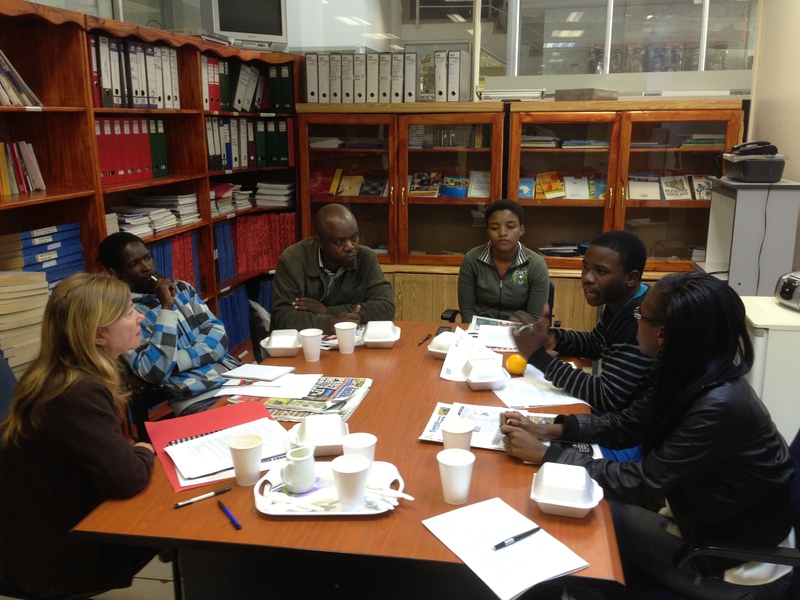 MISA-Swaziland and COSPE will be running 10 more on-the-job training days for Swazi journalists before the national elections in August 2013. The next training day will be held on Tuesday May 28. The aim for the whole project, over the 12 sessions, is to expose about 30 journalists to this type of training. Print journalists from the two daily newspapers, Times of Swaziland and Swazi Observer, and also the monthly magazine The Nation, will receive the first round of training. If all goes to plan, there are thoughts to also involve editors, students, and radio and TV reporters. The trainings, essentially, are about three things: good journalism; election coverage; and ethical reporting of women’s issues. MISA believes that good and thorough journalism — by the mere fact of it being good and thorough — will also make for interesting election coverage news. Moreover, good and thorough journalism will also be ethical journalism. 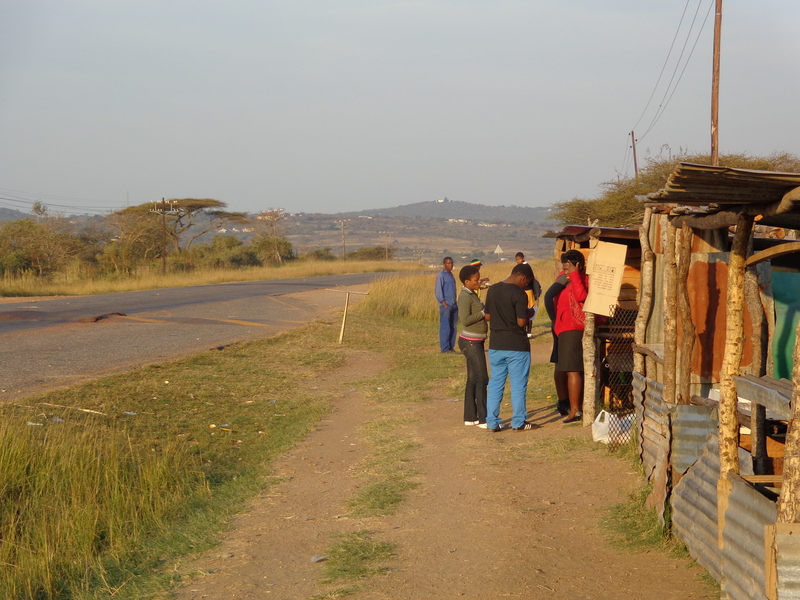 Click here to read another article about the training day in Mambane and Mafutseni. And click here to read about the first training session on April 16 in KaShali. COSPE, an italian-based human rights NGO, is funding the project. 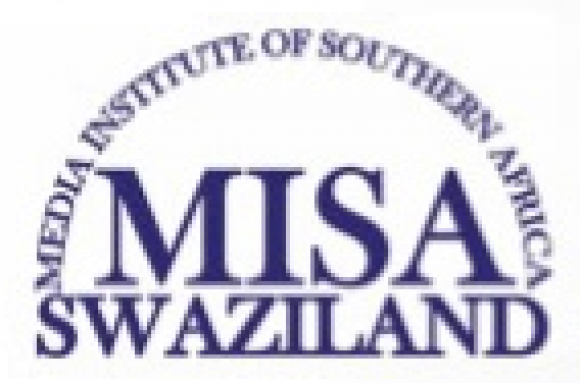 MISA-Swaziland are providing the training. Tags: africa, election coverage training, freedom of speech, journalists, media institute of southern africa, MISA, MISA Swaziland, mourning gowns, southern africa, swazi observer, swaziland, times of swaziland, training, women's rights. Bookmark the permalink.